Depending on whether or not this post is done before or after my Being Retro Isn't An Excuse For Being Bad article, I'm either come across as a grumpy crack or a very massive grumpy crank. I stand by everything I've written in that article and I've tried to make sure that I haven't been horrible to anyone. However, I've realized that nearly every post and comment in the past few weeks have been negative or very critical. 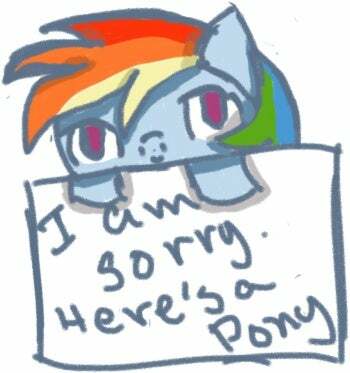 I apologies for that and I hope my negativity haven't made anyone feel bad.